We teach students, homeowners, businesses and policy-makers the importance of clean, plentiful water. 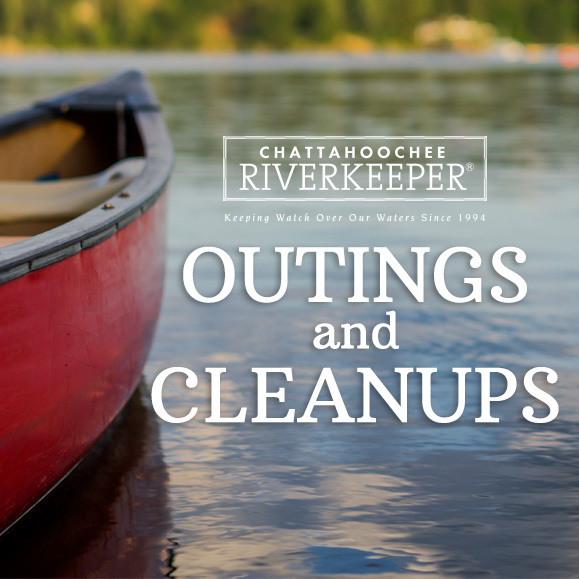 We conduct research, patrol the river, collect and monitor data, review permits, and hold polluters accountable. 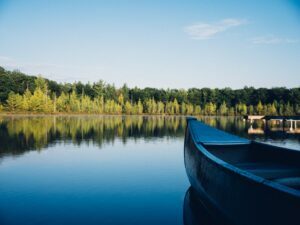 We advocate for water protection legislation and promote sustainable water plans and policies. Praesent sollicitudin arcu sed porta bibendum. Orci varius natoque penatibus et magnis dis parturient montes, nascetur ridiculus mus. Phasellus sodales dictum vulputate. Orci varius natoque penatibus et magnis dis parturient montes, nascetur ridiculus mus. Phasellus sodales dictum vulputate. Praesent sollicitudin arcu sed porta bibendum. Phasellus sodales dictum vulputate. Praesent sollicitudin arcu sed porta bibendum. Orci varius natoque penatibus et magnis dis parturient montes, nascetur ridiculus mus. With your help, CRK has made the river—and our corner of the world—a better place. 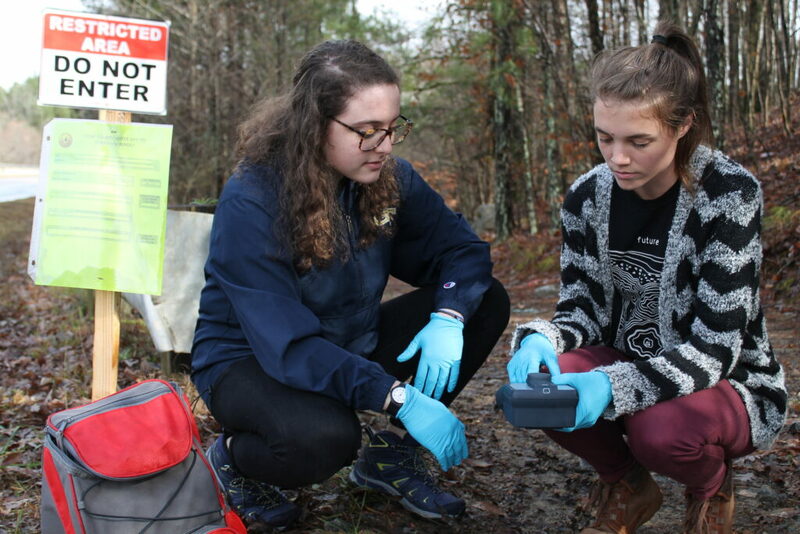 From the late 1970s through the 1990s, the City of Atlanta failed to invest in maintenance of the city’s storm and sewer system, allowing thousands of overflows and spills of untreated sewage to contaminate creeks, the river and West Point Lake. Degraded water quality threatened public health and lowered downstream property values. Community members concerned about the never ending flow of trash and pollution organized in 1994 to protect the river that sustained them and their children. Over the course of the next 25 years, thousands of donors invested a total of $28 million in our mission to restore the river system. Under the leadership of the Board of Directors and staff, along with the help of thousands of members and volunteers, what transpired is a transformation of our most critical resource – the lifeblood of the region and source of drinking water for more than five million people. Today, our river is viewed in a whole new light—as an amenity rather than a drainage ditch for sewage. Our successes protect and improve the health of people, fish and wildlife, and support the economic prosperity of the region. From reducing sewage spills to educating the next generation of river stewards, our list of success stories is long, but there is still much more to do. Please join us today and help us protect the river for current and future generations. Come join the thousands of others who are committed to restoring and protecting the river. Let us know if you see a possible water quality problem. Sign up to receive our emails and action alerts. Shop the CRK Store, which funds a portion of our operating costs and helps us make an even greater splash! Spend $50 and receive a one-year CRK membership. The Trans-Siberian Orchestra has long delighted audiences with their progressive musical stylings, incorporating elements of classical, orchestral, and symphonic genres; but not only does TSO spread holiday cheer with their music, they also share it with the communities they visit. 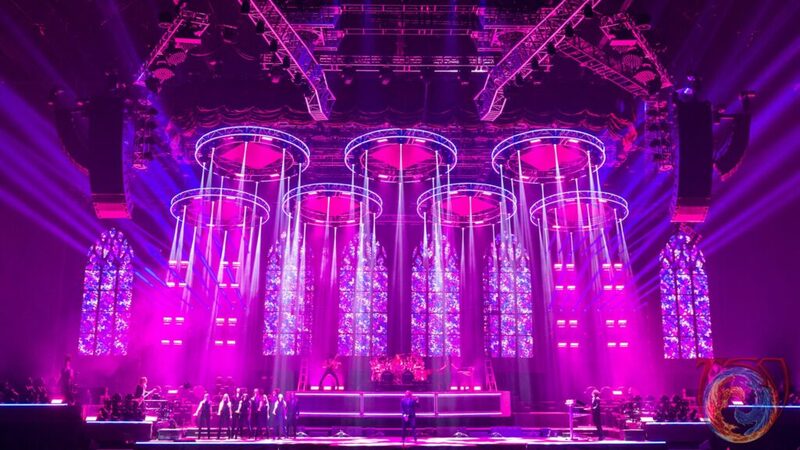 As part of the group’s annual tour, TSO donates to an organization local to the show’s venue. Within the 20 years that they have performed on the road, TSO has donated more than $10 million to a combination of local and national charities. 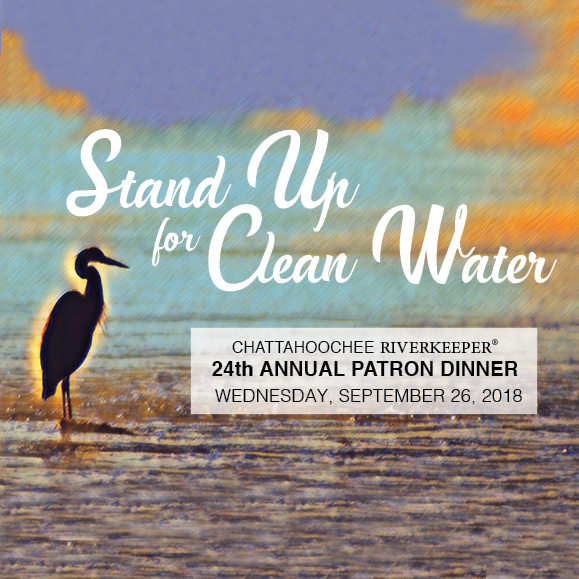 Chattahoochee Riverkeeper has been graciously chosen as TSO’s choice of local Georgia charity for the past five years. 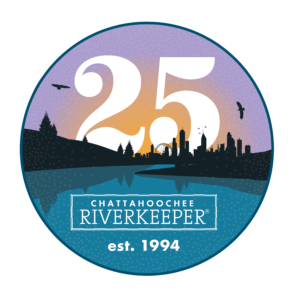 Close to $45,000 have been donated toward our efforts to protect our precious Chattahoochee River, all as a result of this generous program. You can enjoy this year’s performance, “The Ghosts of Christmas Eve: The Best of TSO and More,” at Infinite Energy Arena on Sat., Dec. 8, 2018. For every ticket sold, $1 will be given to CRK. We invite you to get into the gifting and giving spirit this holiday season, and support this joint effort with TSO to keep watch over our waters. Kimberly Clark proves that there’s more than one way for a company to give back. 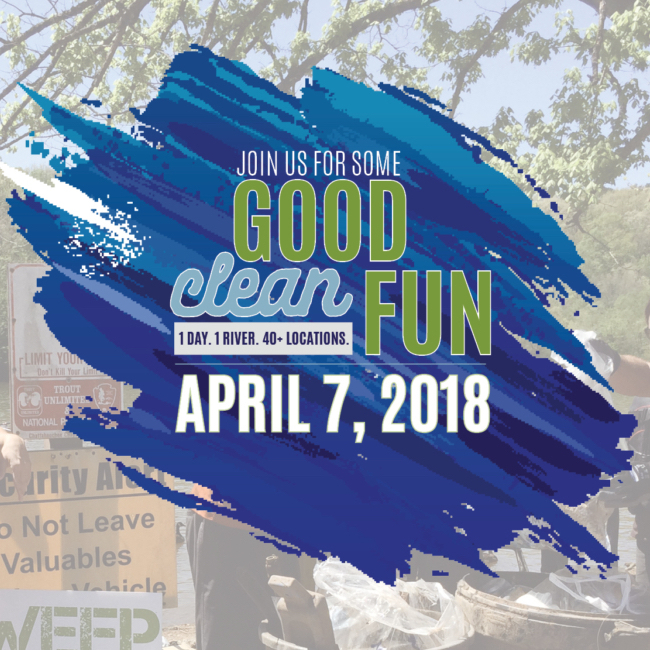 Not only did KC sponsor both our 24th Annual Patron Dinner and our 8th Annual Sweep the Hooch, but their employees made up the largest corporate team at the latter, contributing to the tons of trash we collected in 2018. All this commitment to our local river comes in large part from Daniel Locke, Global Sustainability Product & Packaging Lead at KC. Mr. Locke is dedicated to protecting the environment while making products that people need. Daniel also joined the CRK Board of Directors in May 2018. For all of this support, CRK is thankful! An increasing number of studies show that getting children outside and into nature is beneficial. In addition, we know that science, technology, engineering and math remain important for student progress. Our two floating classrooms combine these ideas, and do so in a way that has proven remarkably successful. But many students lack access to outdoor learning opportunities, whether because of geographic or financial limitations. 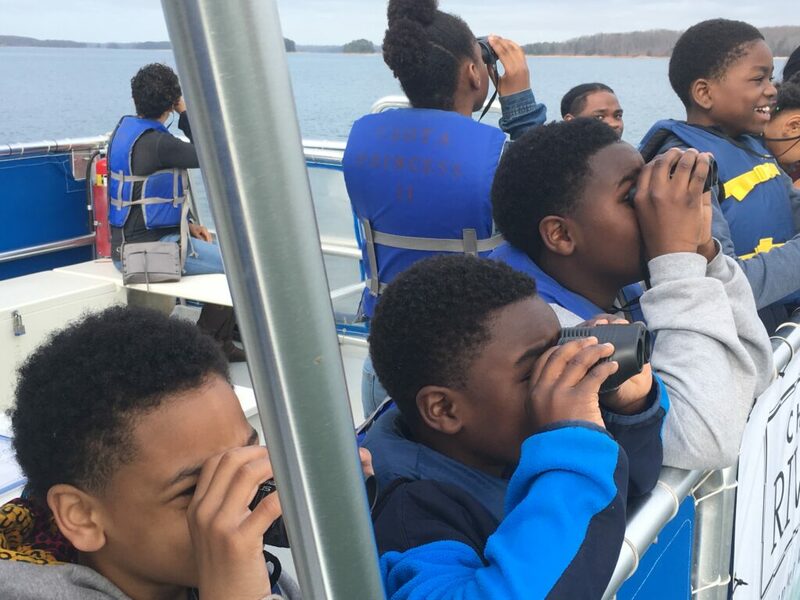 Thanks to a unique partnership between the Youth Enrichment students at local YMCA branches and Georgia Pacific, a number of students have come aboard our floating classrooms completely free of cost. With 1 in 5 families relying on support to participate in programs offered by the YMCA, scholarships like this are absolutely crucial. For the past three years, our scholarships have created lasting memories and opportunities for students to step out of their comfort zone and into a setting that is exciting, confidence-building, and educational. For more information on our floating classrooms, please click here. To support these programs and ensure that thousands more students are able to enjoy them, please consider making a donation. 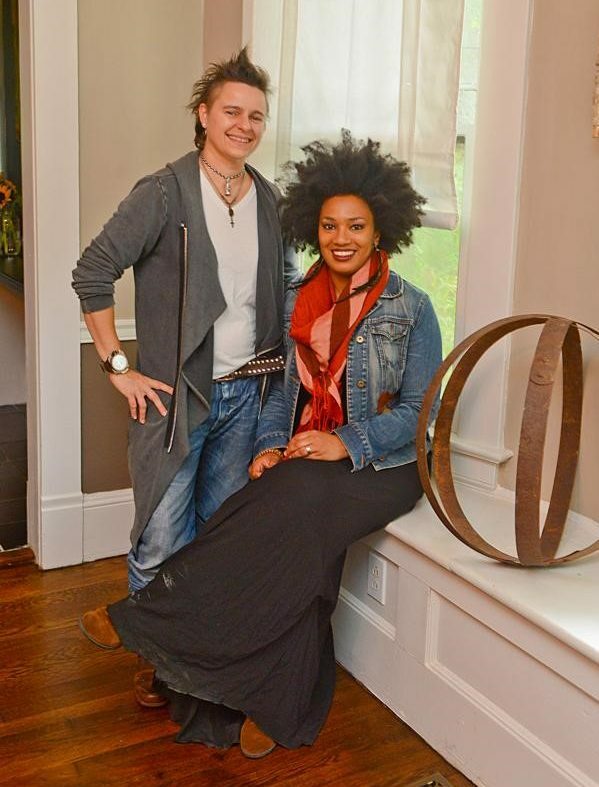 The We Serve People Restaurant Group houses the culinary and entertainment concepts of Atlanta based chef Calavino Donati and Musician/Activist Doria Roberts. It is here where the couple passionately marries food and the arts with their various philanthropic efforts and interests. While “Farm to Ear” promotes and supports locavores and local music, “Sip + Salvage” (part swap meet/party cocktail party) raises awareness about the importance of upcycling and repurposing. Their latest effort, “The Green Tea Initiative”, focuses on water and the use (and abuse) of it in cafe culture. The project’s ultimate goal is to bring actionable awareness to the forefront by implementing a nationally recognized “green certification status” for environmental stewards in the industry who serve you “The World in Your Cup”. 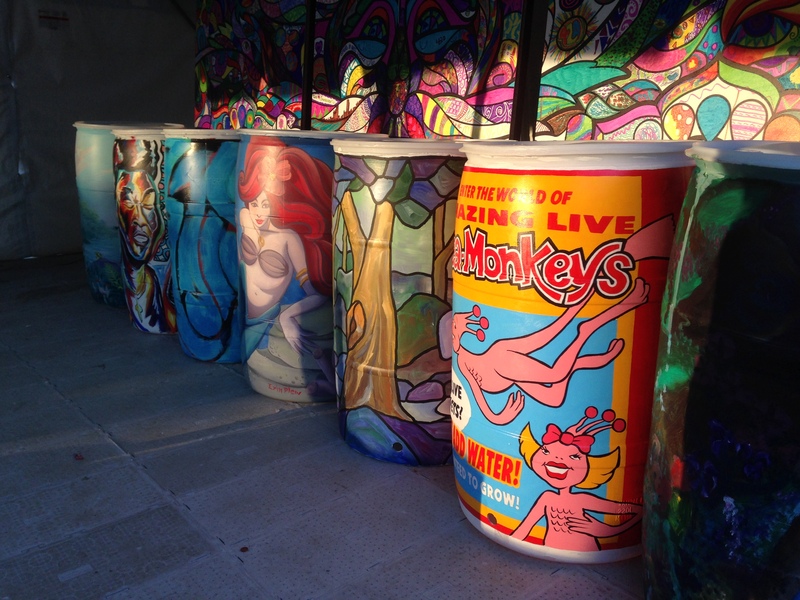 Helping to SAVE DROPS, one rain barrel at a time. The Coca-Cola Company has played a key roll in our rain harvesting program since its inception in 2009, donating 60-gallon syrup drums which are refurbished and distributed as rain barrels in the community. We estimate 4 million gallons of water saved since the program started. Not only has their local support paved the way for rain harvesting partnerships across the nation, it has made a profound impact on other CRK initiatives including our yearly trash cleanups, outings program, floating classroom, and green infrastructure projects. A special THANK YOU to our friends at Coca-Cola for continuing to give back to your hometown communities! Connect with the CRK community and join us for one (or all!) of our outings and cleanups throughout the year. The Patron Dinner is CRK’s most important fundraiser of the year, raising nearly 20 percent of our annual operating budget. 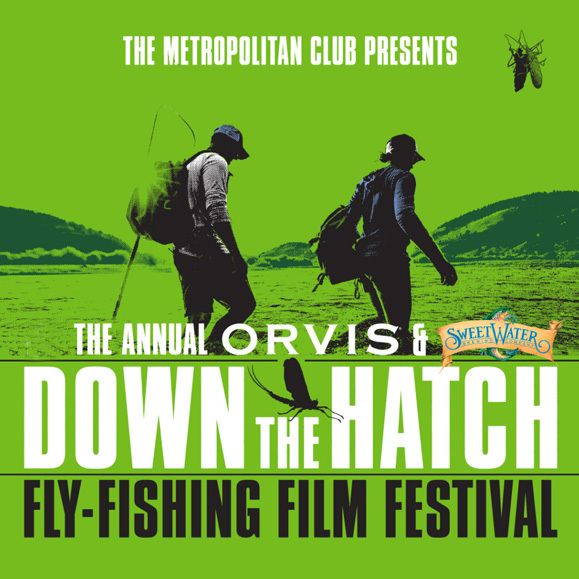 The Down the Hatch Fly Fishing Film Festival is a night of fresh films, a silent auction, cool swag and giveaways, food and heady brews. 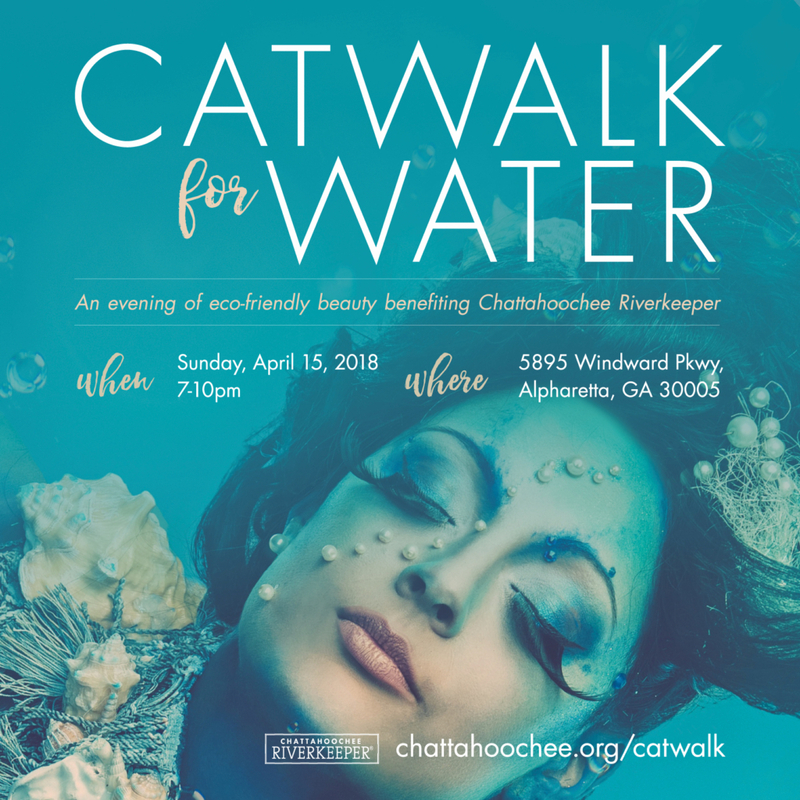 Come walk the blue carpet with AVEDA salons from across Georgia at this annual event promoting clean water awareness. Sweep the Hooch is an annual day of service mobilizing volunteers to remove trash at locations throughout the watershed.